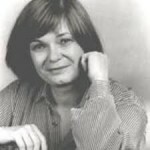 Barbara Kolb is an American composer. Her music uses sound masses and often creates vertical structures through simultaneous rhythmic or melodic units. She was the first American woman composer to win the Prix de Rome. She received her B.M. and M.M. degrees from the Hartt College of Music at the University of Hartford, and studied with Arnold Franchetti and Gunther Schuller. Her orchestral composition All in Good Time was recorded by the Grant Park Symphony Orchestra, under the direction of Carlos Kalmar, along with works by John Corigliano, Aaron Jay Kernis, John Harbison and Michael Hersch on a CD released by Cedille Records in the summer of 2006. Her music is published exclusively by Boosey and Hawkes.